New Executive Chef Salvatore Marcello has brought his culinary expertise to celebrity favorite, MAMO Restaurant. Originally from Naples, Italy, Salvatore was born into a family of cooks and bakers, igniting his passion for food at an early age. Since leaving home at the age of 13 to attend the Scuola Alberghiera in Formia, Lazio, Salvatore has experienced an illustrious career in some of Europe’s foremost kitchens; most recently as the Executive Chef at il Vero at the Grand Hotel Kempinski Geneva. His journey began at the Quisisana in Capri, as a summer job, and then to St. Moritz for another summer. 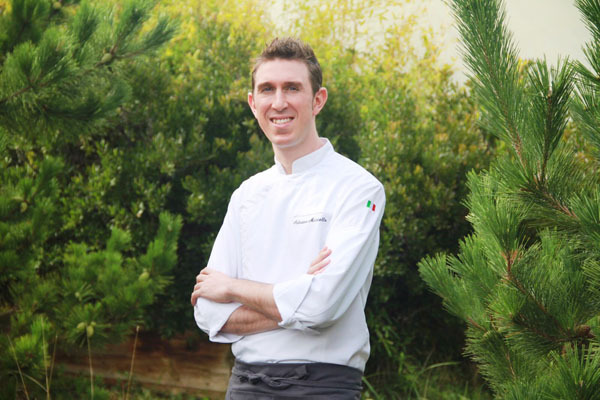 After graduating from the Scuola Alberghiera, Salvatore returned to the Quisisana for the summer, and went further north in Italy, to work with Chef Massimo Spigaroli. This experience inspired Salvatore to step away from his comfort zone, and he began working for Rocco Forte hotels, first as a Chef de Partie in Frankfurt, then in Berlin. Less than 18 months later, he was named Sous Chef at The Richemond Hotel in Geneva, where he would make his home for several years. During his time at The Richemond, Salvatore met Michelin-starred chef Fulvio Pierangelini of the world-renowned Gambero Rosso. Mr. Pierangelini was seeking a right-hand man and was certain that Salvatore was the right man for the job. He took Salvatore under his wing, and the two traveled throughout Europe working through hotel openings, food and beverage transitions, and menu redesigns. After almost three years with Pierangelini, Salvatore missed having ‘his’ kitchen, and he returned to Geneva to open il Vero at the Grand Hotel Kempinski, as its Executive Chef. In 2015, when Salvatore brought his culinary genius to NYC, people took notice and he began cooking private dinners and learning from New York’s best-known restauranteurs while looking for his perfect fit. It was upon meeting Mike Mammoliti and the MAMO team that he realized he had found his New York home, and a place to grow further and shine. Now diner’s can enjoy the best any season has to offer with MAMO Restaurant’s incredible menu created by Salvatore. 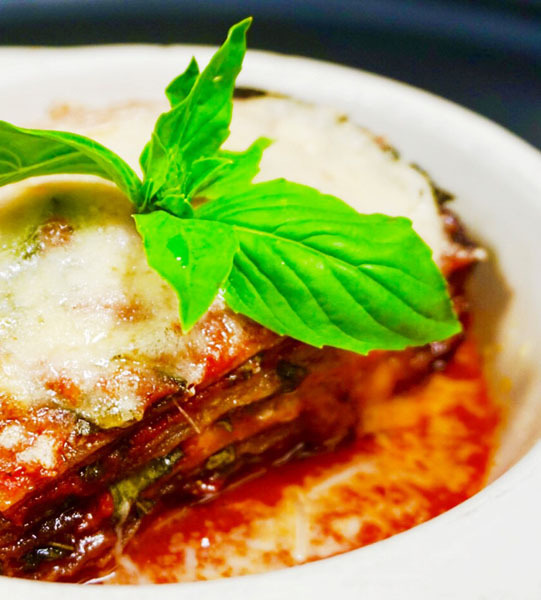 MAMO’s new menu features an array of dishes prepared with only the best ingredients. 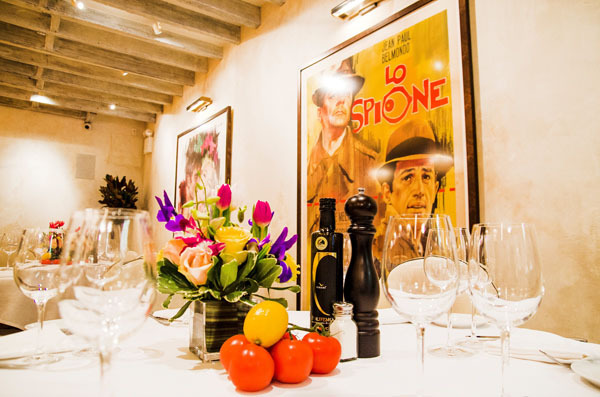 MAMO offers diners traditional southern Frenchi/Italian cuisine in an intimate yet elegant setting. The bi-level restaurant includes a casual lounge on the ground floor and a formal dining room upstairs. Both spaces capture the Riviera’s “sense of home” with original family photos and oversized vintage movie posters. The decor also incorporates classic New York-inspired touches such as exposed brick walls. The intimate downstairs lounge is available for private bookings, and is the perfect space for a holiday gathering or celebration.